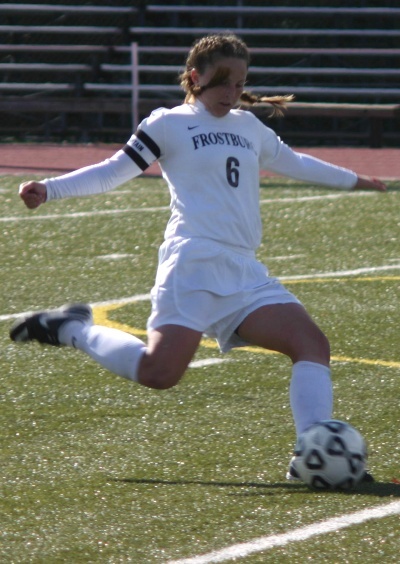 A 2005 Frederick High School graduate from Frederick, MD, Tori appeared in all 83 games played by FSU in her 4-year career. 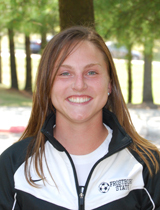 Although she played in midfield and as a forward in high school and club soccer, Tori quicky adapted as a defender in college and became a 3-time 1st-Team All-Conference player that helped FSU appear in 4 conference championship games in her career, winning the title in 2005. The education I received at Frostburg State University was enhanced by the professional background of my professors. Most of them worked as professionals before they began their tenure at Frostburg, so they understand what a young professional needs to succeed in a competitive work environment. During my time as an undergraduate I also participated in SGA for two years in the finance group of the organization and eventually became the finance chair. Playing for the FSU Women’s Soccer team was the best experience I could have had in college. The teammates you become friends with, the people you meet, and the intense competition make the experience very rewarding. The coaching staff and soccer program at Frostburg allowed my soccer career to be challenged nationally and even internationally [team trip to Costa Rica]. FSU’s coaching staff knew how to bring out the best in me both on and off of the field. The environment at FSU allowed me to push my soccer career to its full potential as well as focus on my education and future goals. At FSU, I learned first hand that to become successful you must work hard and realize that success does not happen overnight; it takes dedication. Playing soccer at FSU gave me an edge in my professional career because I had to learn the ability to prioritize and juggle intense and stressful tasks, organize and efficiently manage my time, and be team oriented. I found that employers were looking for exactly the skills I had aquired through my soccer and academic career at Frostburg State. I am currently a Certified Public Accountant (CPA) candidate and will begin sitting for the CPA examination this winter. I was recently married and reside now in Fallston MD, where we recently purchased our first home.